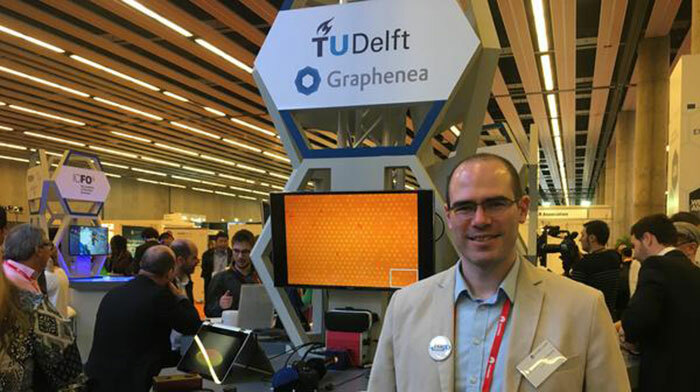 Researchers from SCALE Nanotech, Graphenea and TU Delft are securing capital with a view to commercialise the graphene pixel displays that they have designed. A startup will be launched by the research team in a few weeks with the hope of bringing GIMOD (Graphene Interferometric Modulator Display) components to market. The headlining attractive qualities of a GIMOD is that it can easily achieve refresh rates of 400Hz, the pixels are small so it is possible to create 2500ppi screens, and the power efficiency is said to be good. The scientists see GIMOD components as a natural fit for VR headsets "where GIMOD outperforms every other technology". Graphene makes reflective displays that offer the specifications of standard technologies (OLED, LCD) possible and the faster refresh and higher resolutions possible, while conserving battery life - these are aspects VR HMD designers and users will find attractive. 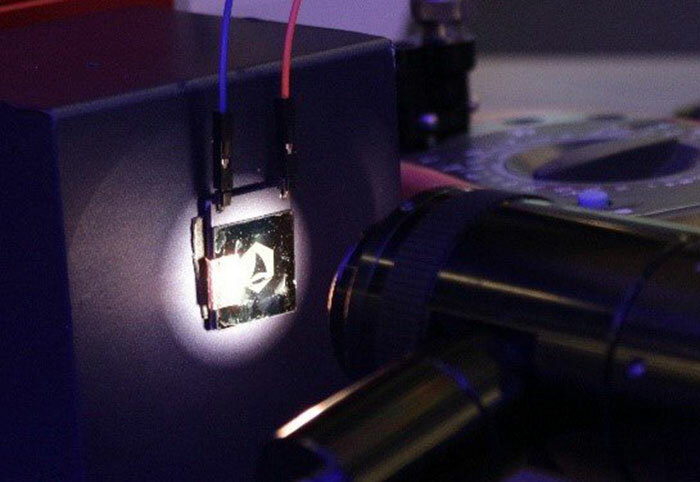 Earlier in the year, 2500dpi GIMOD components were showcased at MWC and the "industry reacted quite enthusiastically," claims Dr. Cartamil-Bueno, the inventor and researcher that fabricated the graphene displays (seen in the photo above). 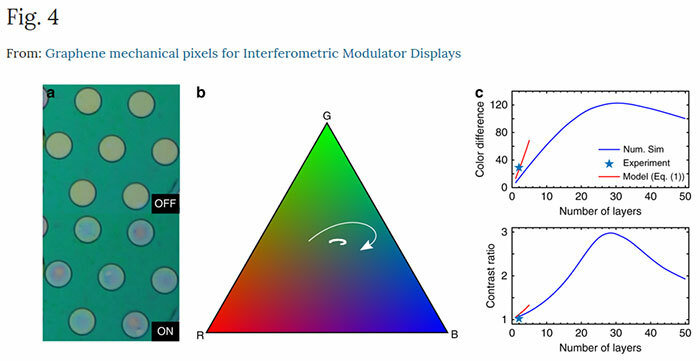 On the topic of pixel density Dr. Cartamil-Bueno said that high ppi GIMOD displays can be made as the graphene pixels used are 5µm in size. Compare that figure to pixels in the Apple iPhone X screen (55µm), or Samsung Galaxy S9 (44µm). If a GIMOD display was manufactured at 5-inch smartphone scale it would offer a 12K resolution. GIMOD lead scientist Dr. Houri provided some interesting background information about the new display technology. "Graphene is a versatile material with excellent mechanical, optical and electrical properties, and the combination of all of them enables the GIMOD technology," explained Dr. Houri. GIMOD pixels are described as "electrically controlled membranes that modulate the white light from the environment". While this story is headlined with the 400Hz refresh figure, the scientists say that they could run at up to 2000Hz, but humans can't perceive flicker beyond 500-1000Hz and the nearest tech rivals operate at 144Hz. It is good to hear about GIMOD commercialisation happening via a startup being formed in mere weeks. Hopefully we can see the first GIMOD products in the not too distant future. This is really cool. Does “Reflective” mean it works more like an e-ink display as compared to LCD/LED screens that are emissive? “Modulates white light from the environment” combined with the claimed power efficiencies sounds like it absorbs white light and alters what wavelengths are absorbed / reflected back. well the screen might do 2000Hz but what kind of card would we need to support it? LN2 titans from 2028 in quad SLI? Do we need a powerfull card to take advantage of 144hz monitors ? No we dont. Do we need a powerfull card to take advantage of the 400hz, No, but we need the cable standards and outputs to support the refresh rate.